— “How to Get People to Eat Dog Food” by Ethan Mayers at AlleyWatch. I remember when I first heard the question “Are you dogfooding?” shortly after arriving at Microsoft in 2004. I was puzzled for a second about why anyone would not use their own company’s products, especially when they were on the product team that was building them. Fast forward a few months to the mid-point of the Outlook and Exchange 2007 release. Our dogfood email environment would periodically go completely down for days at a time and we would resort to using IMs and our bug reporting system to exchange important messages. I remember that some of our execs were not in the dogfood environment, but when they heard about the issues we were having they asked to be moved in their with us. They wanted to see for themselves what was going on and to give us a little pressure by having their dogfooding right next to us. Want a quick way to get your day-to-day product stability in shape? Inject a few executives and put their real email on the line and you’ll get blunt feedback, ‘fo sure. My point here is not that we were in terrible shape in early Office 2007 engineering (we weren’t), nor that we weren’t dogfooding (we all were), or that execs are the best way to do Q/A (they’re not). My point is that as a product manager it’s easy to get stuck staring at the trees and to forget about the forest when working on a specific feature in a larger product. It’s something that can happen more frequently as startup teams get bigger and product managers get more specialized. In another example from that team, I remember being heads down working on a specific and critical issue in Instant Search in Outlook (one of my features), and I assumed that someone else was seeing the reliability issues I was having with sending email in this specific configuration. I remember bringing up one of those reliability issues to the team that owned Mail Transport, and they determined that it was the specific way that I setup Outlook that was causing the issue (it was having multiple POP accounts loaded into a profile while searching across profiles), and no one else on the team was seeing it because it was setup- and timing-related. It was a critical bug because many of our customers would eventually have a setup similar to mine and therefore could have been susceptible to the issue once we rolled out the new feature. As teams get bigger and more specialized it’s critically important that product managers dogfood their specific feature or product. It’s equally important, if not more so, to make sure you are always dogfooding end-to-end experiences outside of your feature ownership and across the entire breadth of products you build. You should also look for unique ways to get a fresh perspective while dogfooding. For example, we found that by adding the execs in at a time of difficult product stability during Outlook 2007 development, we were able to inject some “new eyes” into our day-to-day work and get some great objective feedback. This also helped us get dogfood coverage on features like Delegate Access, a setup that only happens when someone else manages your inbox and calendar in Outlook (a setup very unique to VP-level and higher users). In another case, we asked the entire product team to unplug their mouse for an hour to try and use Outlook via the keyboard only, helping us find a bunch of good bugs in our accessibility code. Here on the Contactive team at ThinkingPhones, as our products get more complex and our team grows, we continue to dogfood every day and constantly come up with new ways to get those fresh perspectives. One of our favorites are weekly team-wide dogfood bashes to help get fresh eyes on new areas of our code. One of our product managers puts up a whiteboard, cranks the music (usually 80’s workout montages from Spotify), and everyone writes the bugs they find up on the board. We sometimes award “most interesting bug” and other fun prizes. You’d be amazed by what you can find with that kind of intense focus. We also have a “Bugs” email alias that gets traffic at all hours of the day, as we have all adopted the habit of sending screenshots and bug reports the minute we see them. We find that these types of efforts help increase the focus of the whole team on the quality of our products. Our goal at ThinkingPhones is to be proud of our products and deliver amazing experiences to our customers. 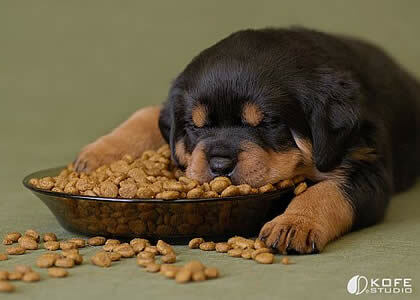 We believe pride comes from quality, and quality comes from eating your own dogfood. A few years ago I switched teams inside of Microsoft and joined the Office 365 group inside of the Exchange team. I was jumping in mid-release and as a manager, so I had to get up to speed on my own responsibilities and that of my team. If you know me you’ll understand when I say that my first day was about creating lots of lists: who to talk to on my new team, documents to read, customers to talk to, etc. I love lists, and I love tasks. Since I was joining a big team with peers who had several directs themselves, I put together a big complicated list that mapped each of the PM’s in our larger team to their project and their manager. I found this helpful because I always like to ‘see the big picture’ visually. I shared it with my peers and my manager and asked them to update it since I had made guesses about some of the projects, telling them we could use it as a reference across the team. I didn’t get a response after a week and pinged them again. No response. Huh. Whoa. That wasn’t me. I wasn’t the guy who pissed people off while I was trying to help them. Or was I? What I realized was that sometimes my personal organization processes and styles need to be just that: personal. The point? Transitions are super tough and involve a million little things changing at once, and it’s easy to forgot areas of your personality that are already weaknesses when dealing with larger parts of the transition. Now about this book. I feel the same way about self-help and self-training books that I do about the types of in-person training I’ve attended while working for big corporations: if I feel like at least 70% of the time I spent attending/reading was valuable then it wasn’t a total waste of time. That may be a cynical way to think about it, sure, but I’ve been burned in the past by overly-drawn three day training sessions where the entire time you’re wondering “WHAT IS GOING ON? !”, and then there have been rock-star ones like “Situational Leadership” that I still discuss and use almost every day in my job. 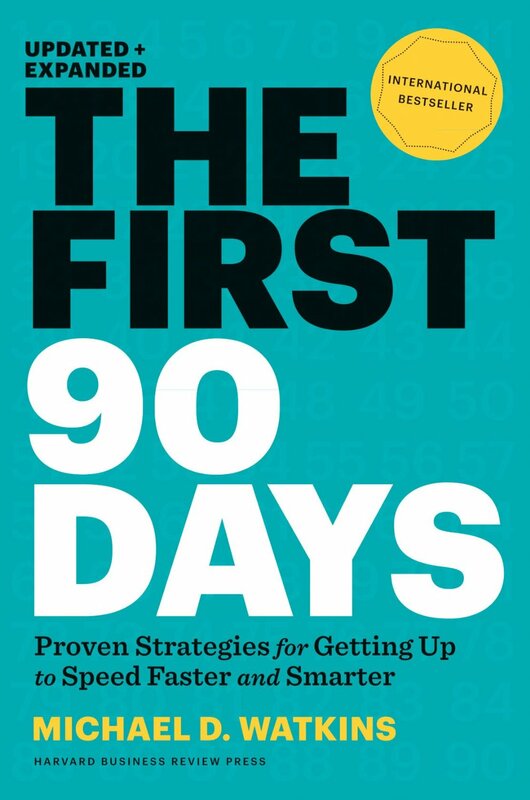 “The First 90 Days: Proven Strategies for Getting Up to Speed Faster and Smarter, Updated and Expanded” easily meets my 70% rule for being a great book and I believe can help with transitions in your career. The first time I read it was when I left Microsoft in Fall 2013 and was on the recommendation of my best friend Vinny Pasceri, a fellow Microsoftie who knows a lot about transitions between startups and big companies. It was immensely helpful while I was making the transition to work at Contactive because of how well it structured the process of feeling like I had 9 million things to learn at once. Most importantly, it hammers home the idea of not making lots of quick, bad decisions because of lack of information that then inhibit your ability (and reputation) to do long-term good in the organization. I re-read the book this January as we were going through the acquisition process with ThinkingPhones. It was faster the second time around and I was able to skim through parts that weren’t as relevant, but I found it a good refresher of some of those “blind spot” challenges that can be easy to hit in a new transition. The book has a LOT of frameworks in it, and sometimes I feel like it tries to straddle the line too much between being a step-by-step training manual and a good reference of ways to approach situations. I tend to be very example-driven, so I wished it had more of the mini case studies to support the various frameworks. I stopped trying to fill out the (many) worksheets as I was reading it and instead allocated 30 minutes each week to pick a section and make actions items for myself based on it. I didn’t find any framework or set of steps that was completely foreign to me. I did, however, find the single most useful outcome of reading the book to be getting way more honest about what my weakness are in times of transition, like trying to force old ways of work into the new one, and forcing me to write them down in order to be mindful of them. The book is focused on senior-level management positions in large organizations making big transitions, and only really pays passing mention to startups. That’s not a blocker for making this a usable book by almost anyone making a transition in an information worker role, especially one in management, since the frameworks and methodologies are non-specific. I remember it well. It was the end of August two years ago and I had taken a long weekend to visit my parents in NY. Amy was travelling with her girlfriends, so I had a few days by myself to hang with the fam and visit some friends in the city. After a weekend of BBQ’ing and relaxing at my parents’ house, I spent Monday doing a catch-up tour of sorts in NYC by meeting up with some friends and colleagues in Silicon Alley. I love these kinds of conversations with people in tech; they’re not interviews (I wasn’t actively looking), but they help me stay connected to the startup world and (at the time) to what was happening outside of Seattle in tech. Change is hard. For Amy and I, change like “Move across the country” and “Leave your friends and life and job of over ten years” was something we talked about in our five-to-ten year plans, but never really thought would happen. I hadn’t found the right reason to make the change. 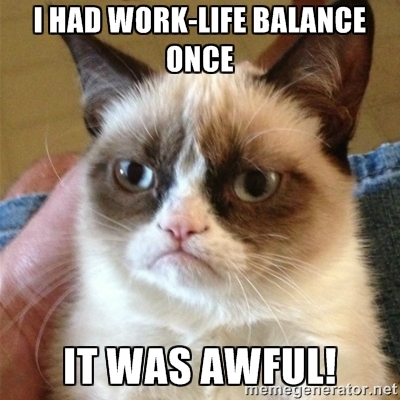 Up until then I had spent my entire career building software to make people more productive. I’ve always been inspired by helping people work better, faster, and ultimately (hopefully) happier. It was awesome to work at Microsoft right out of college; I was 21 years old and got to build experiences into Microsoft Office that were later used by millions of people. Serious nerd-rush. 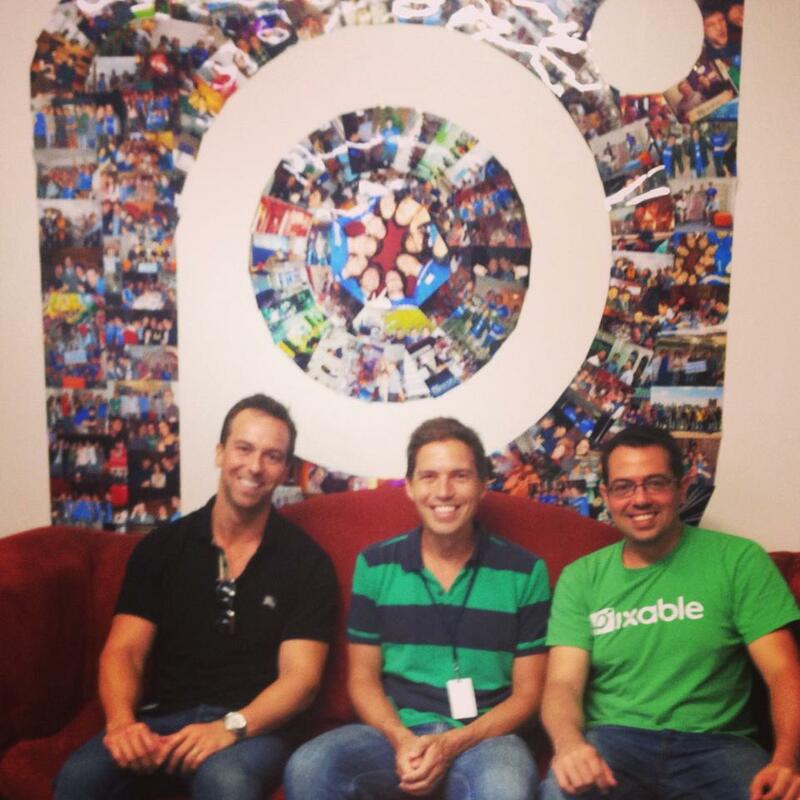 Over the years I became obsessed with bringing social collaboration and productivity into the enterprise, cutting my teeth on partnerships with LinkedIn and Facebook, and was amazed at how big the opportunity space was. Fast forward two months later: Amy and I are living in Brooklyn, I left Microsoft and am now employee #7 at Contactive in NYC. It happened so fast that for the first few weeks I still woke up on Seattle time to go to work. We’ve since settled in and have loved every minute of our new lives here in NYC. Our mission at Contactive was to make our users as prepared and productive as possible for every conversation they have. Over the last 2+ years, we have worked non-stop to build a strong big data platform, a brilliant team of 20 people, and a solid product with over 1 Million users. 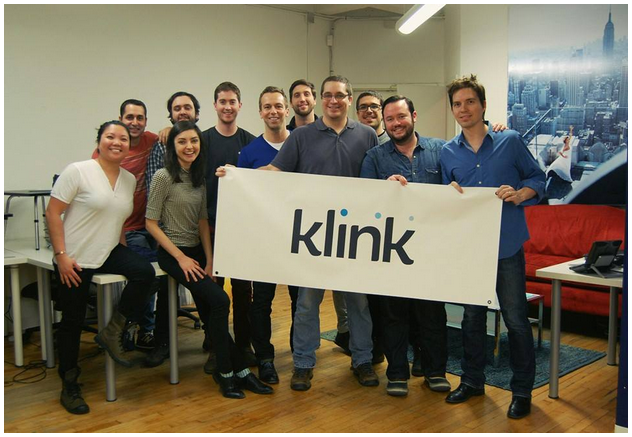 Along the way we also launched Klink, our enterprise offering for optimizing communications at large enterprises. 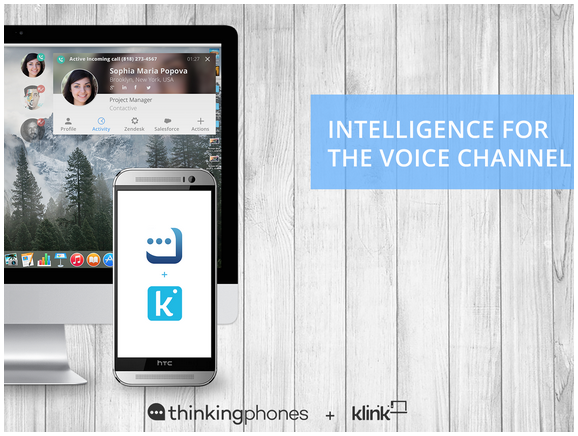 Today, we are excited to announce that we are joining ThinkingPhones, the market leader in Unified Communications as a Service (UCaaS). By joining ThinkingPhones, we can move another step forward in closing the gap between the world of big data and telephone communications, to increase the productivity and efficiency of communications. It is an honor and a privilege to join ThinkingPhones. Over the past few weeks I’ve had the chance to get to know Steve, Derek, and the rest of the team at ThinkingPhones. The’ve all been working together for over ten years and have started several successful companies together before ThinkingPhones. It’s clear that they really enjoy working together and have built a supportive and fun place to work. I am also supremely impressed by the agility, passion, and innovation they bring to the space. I would be remiss not to thank a few folks for supporting me on this journey the last few years. My wife, Amy, for her willingness to uproot our life completely and move to NYC. My parents and family, for their unwavering support and sounding board over the last two years. Most importantly, I thank my fantastic colleagues here at Klink. We are a family as much as we are a company, and it’s been a pleasure to work and sing terrible karaoke with them. You can read more about the acquisition here. Thanks! A great article by Scott on the challenges of balancing work/life when you’re the CEO of a growing startup. I think the insights are broadly applicable outside of just the CEO role. For me, working at startup after being at big company for 10 years has forced me to rethink several key parts of my own personal work/life balance. I love to work, so a while back Amy and I worked on a few simple “strategies” for ensuring we stay connected regardless of how intensely I throw myself into my job. My favorite, Friday Date Night, is something we loved doing in Seattle and have picked up with gusto here in NYC. We need to work on “leaving our phones in our pockets”, but making sure we have one or two dedicated nights per week of just cooking dinner, binge-watching Netflix, and drinking good wine definitely helps keep me grounded. Another strategy we’ve adopted is simple but effective: shared calendars and weekly planning. On Sunday nights Amy and I discuss the week and plan out what dinners, events, and shows we have planned, and then make sure our calendars are up to date. This helps because I can then identify one to two nights where I can work late without feeling bad, because I know Amy has a sorority alumni event or drinks with her girlfriends planned. You can’t always plan the work days that are going to turn in late nights at the office, for sure. For me, knowing I have some evening time where I can crush some deliverables, answer queued emails or do market research without stressing that I’m late for dinner makes it way easier to leave at a decent hour on a night that Amy and I have plans.